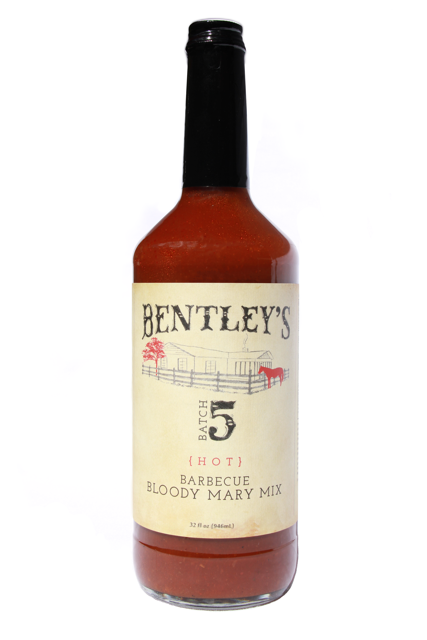 Our Hot Barbecue Bloody Mary Mix is made for people who like some heat. Its rich and tangy flavor pairs perfectly with the Vodka or Tequila of your choice. Mix it with beer for a unique Texas Michelada. By itself, it makes a great Virgin Mary. It’s made with my Dad’s secret, Worcestershire-based barbecue sauce that he started making in 1954. After we began selling his sauce, you told us it would be great in a Bloody Mary, and you were right. We came up with a recipe that proved to be so popular we decided to bottle our own mix. I know my Dad would say it makes the perfect Bloody Mary. I’m proud to share our Hot Barbecue Bloody Mary Mix with you … as proud as that first time my Dad shared his secret barbecue sauce recipe with me. FROM DAD, TO ME, TO YOU.